Idaho Gov. Butch Otter has warmed (at least a little) to Obamacare. Back in 2010, Idaho's cowboy Gov. Butch Otter was the first state executive to sign a law allowing his attorney general to sue the federal government if Congress passed the president's signature health care law. But three years later, Otter has shown he's willing to compromise his hard-line opposition to the Affordable Care Act as long as he can make the law work on Idaho's terms: First, the governor formed a workgroup to study whether Idaho should form its own state-run health insurance exchange. Eventually, he persuaded recalcitrant GOP party members in the statehouse to create one. There's still the question of Medicaid expansion, and whether Otter will follow in the footsteps of other Republican governors, including New Jersey's Chris Christie, Ohio's John Kasich, Arizona's Jan Brewer and Michigan's Rick Snyder, by extending the program to low-income adults. The Idaho Association of Commerce & Industry — a powerful business advocacy group — recently wrote to the governor, urging him to take the federal money for low-income health care. Otter, who already committed a task force to study the issue, has indicated he would support a Medicaid "redesign" that includes more personal accountability. If Otter had any plans to push for Medicaid, he now faces a wrinkle: On Saturday, Sen. Russ Fulcher, R-Meridian, announced his intention to run to the right of Otter in the May 2014 primary. 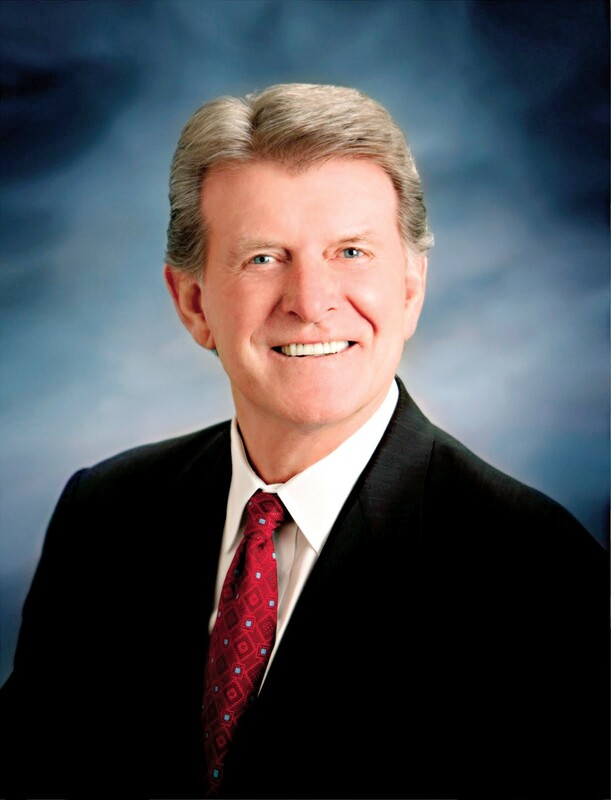 The five-term state senator has accused Otter of having "lost touch" with the people of Idaho in establishing a state-run health insurance exchange. He said his first order of business would be "reversing Otter's efforts to implement Obamacare here in Idaho, then providing a patient-powered alternative." Idaho's brewing gubernatorial fight is indicative of the "intramural conflict" within the state GOP, dividing the party's more moderate and conservative factions, says David Adler, the director of the Andrus Center for Public Policy at Boise State University. Medicaid expansion already is emerging as a wedge issue — "a sort of litmus test for true conservatives," as The Daily Caller put it — across the country for Tea Party candidates hoping to unseat Republican incumbents. "The reality is that Gov. Otter has an important political choice to make when it comes to Medicaid expansion," Adler says. "For him, it will be an opportunity to embrace fiscal prudence and fiscal conservatism, as well as an opportunity to overcome the great burden imposed on the state from a financial standpoint." So what would Otter's pro-business argument in favor of Medicaid expansion look like? Mike Ferguson, formerly Idaho's longtime chief economist and now director of the nonpartisan Idaho Center for Fiscal Policy, says it should be a "slam dunk." Expanding Idaho's low-income health care program would provide coverage to about 104,000 individuals, or nearly half of the state's uninsured population. According to an analysis by the consulting firm Milliman, Idaho stands to save $403.9 million over a 10-year period starting in 2014 under Medicaid expansion, and even more if lawmakers totally eliminate the state's catastrophic health care and county indigent programs. Those savings, Ferguson says, could "free up resources for other, more productive uses," like public education spending, where Idaho ranks among the lowest in the country. Other than county and state budget savings, Ferguson says Medicaid expansion would a provide a much-needed boost to Idaho's stagnant economy. He cites a 2012 study by University of Idaho economist Steven Peterson, which found that optional expansion between 2014 and 2024 would create some 16,000 jobs, generating $717 million in new payroll and $616 million in tax revenue, as a result of this new economic activity. "A healthier population is more productive," Ferguson adds. "It makes for less strain in the economy when people are having their health care needs met." Under the Affordable Care Act, the federal reimbursement rate covering newly eligible Medicaid recipients gradually decreases from 100 percent in 2014, 2015 and 2016 to 90 percent in 2020 and beyond. The state's savings likewise will decrease over the time, says Ferguson, "but it's still a small savings, not a net cost." It would take an act of Congress to change the health care law's reimbursement rate, and that's impossible to predict.